As contemporary arm knitter, intriguingly I knit using only my arms, no needles. I have been arm knitting since 2013, I teach workshops, have a collection of artful jewellery, make fibre art and am a diverse creative maker. My work is inspired by the connection between individual expression, the handmade process and design. I believe that by expressing the essence of who we are through handmade creations, mindful creativity and sensory experiences we enhance every day. My workshops aim to empower people with their innate creative potential. I approach my workshops with enthusiasm and gratitude cultivating an engaging makers group enriched with like-minded sharing and relaxed, playful learning. Where everyone is inspired by each other and feels a sense of achievement taking home a completed scarf. Exploring my practice in innovative forms and improvising with natural fibres, unexpected materials and repurposed findings, I design and create statement pieces that are expressive and original. I find creative possibilities flow organically from dwelling in stillness and being attentive to moments. A contemporary collection of jewellery also evolved from my insatiable inquisitiveness and experimental process. My jewellery reflects individual style, imparting feelings of positivity, enthusiasm, confidence and admiration. 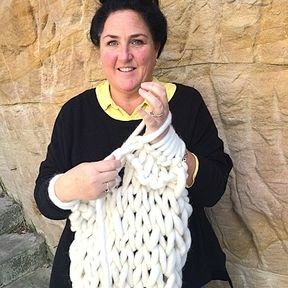 I have been arm knitting for 6 years and have taught arm knitting workshops across Sydney, the Blue Mountains, Southern Highlands, Wagga and private tuition in Sydney, Australia and Toronto, Canada. I am honoured to have been invited to facilitate arm knitting workshops at the Fibre Arts Festival 2018 in QLD as well as a segment on Better Homes and Gardens. I have been part of the ‘Brave Art’ and ‘Change of Seasons’ group exhibitions and have participated in LOST and SHAF Open Studio Trails. 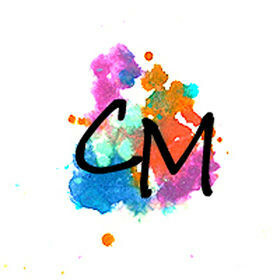 In collaboration with other Makers I have organised and held Creative Pop Up Shops. I live in Sydney, Australia and was born and raised inOntario, Canada. Ceri is pronounced as Kerry, just in case you are wondering.